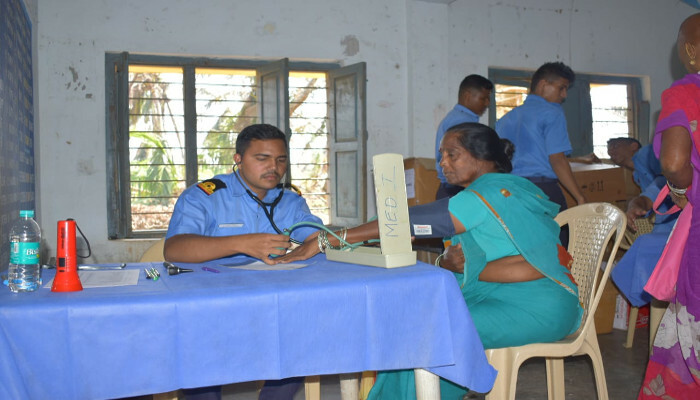 In the aftermath of the devastating Cyclone ‘Titli’ which struck the coastal areas of North Andhra Pradesh, the Eastern Naval Command conducted two simultaneous, day long medical camps for the cyclone affected population of Bejjavani Peta and Dukkavani Peta villages in Srikakulam district on 20 October 2018. The locations were identified after a recce by medical team and in consultation with District Administration Officials. 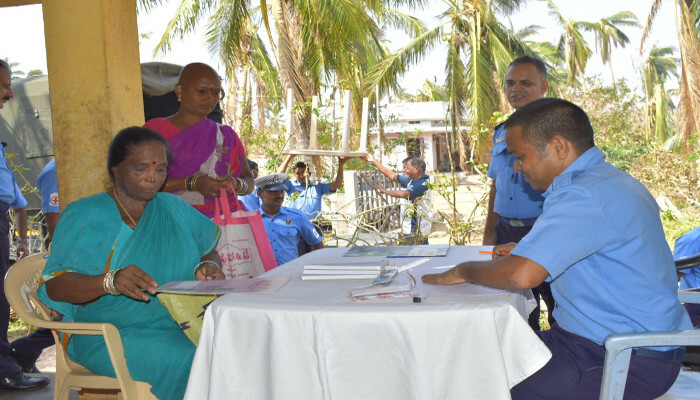 570 personnel from both villages and adjoining areas benefitted from the camp. 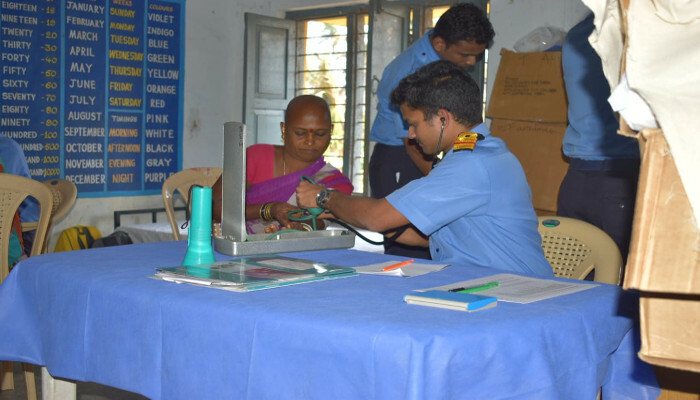 Medical team comprising medical officers, para-medical staff and senior sailors from INHS Kalyani were associated in the conduct of the camp. 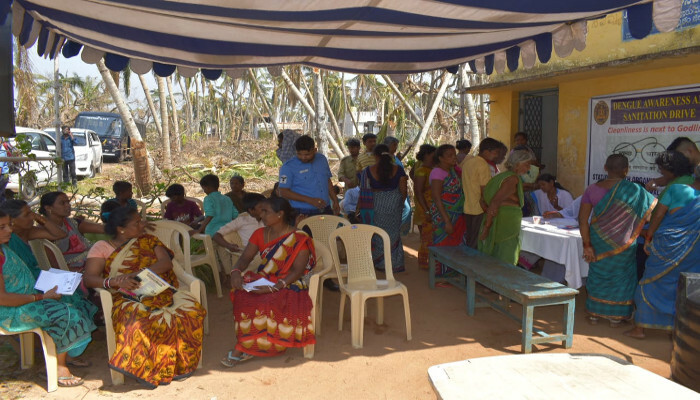 The doctors conducted out-patient consultation for medical ailments, followed by distribution of medicines. 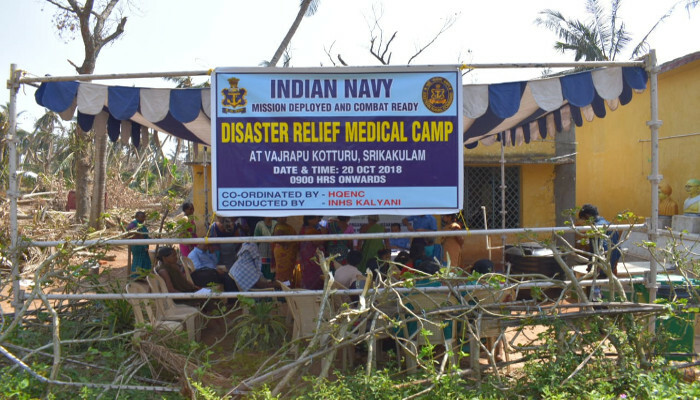 A Team of 43 naval personnel from INHS Kalyani including doctors and paramedical sailors conducted medical consultations, and distributed necessary medicines. 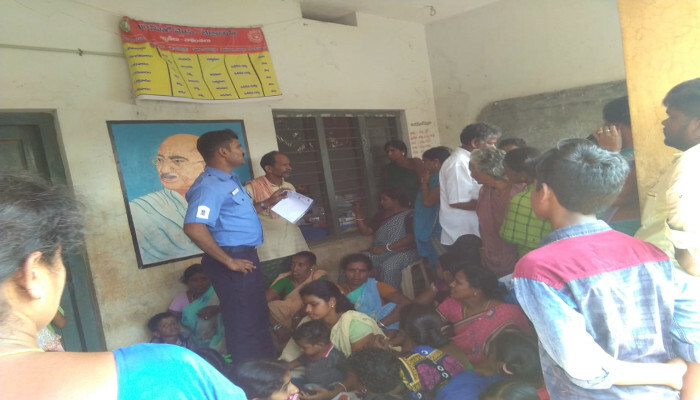 The villagers were also educated on important aspects of sanitation, nutrition and prevention of water borne diseases. 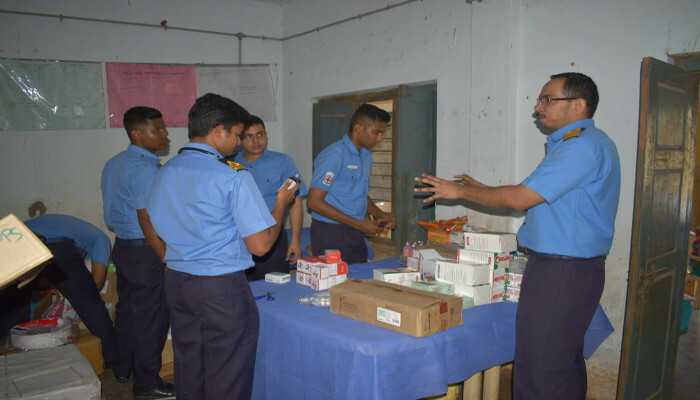 SHO(V) carried out a health inspection and unertook anti dengue and malaria spraying and fumigation. 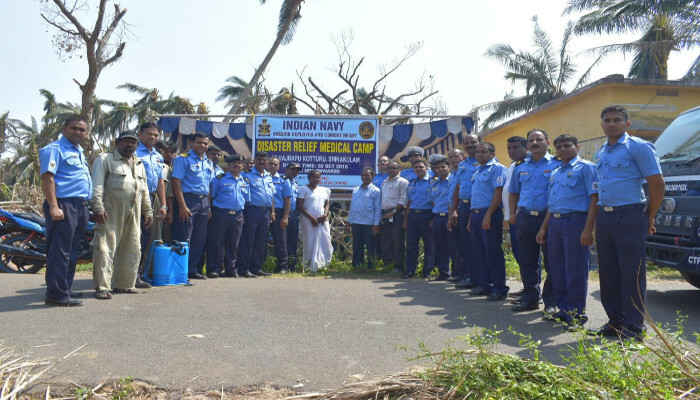 The camp was well appreciated by the village community and brought much solace to the disaster stricken villages.